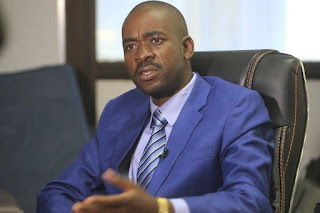 MDC Alliance leader, Mr Nelson Chamisa, has been slammed for derogatory and sexist comments he made about Olympic Gold medalist Kirsty Coventry’s appointment as Youth, Sport, Arts and Recreation Minister. Minister Coventry was sworn in at State House on Monday as part of President Mnangagwa’s 20-member Cabinet. Mr Chamisa drew widespread condemnation over his choice of words in his misogynistic views of fellow “youthful” leaders. Addressing a rally in Chitungwiza at the weekend, the opposition leader said he felt pity seeing Min Coventry being “dragged” into Cabinet and referred to the decorated Olympian as a toddler. “Ndakanzwa tsitsi, ndakawona adhonza kamwana kedu kanoswimmer. Kanodhidha, mudhidhi wedu takaona ayiswa manje mukati. Kwakutora anodhidha nhai vakomana (I felt pity seeing our toddler who is a swimmer also included. Imagine appointing a swimmer! ),” said Mr Chamisa. Activists said Mr Chamisa should be the last person to discriminate using age as he was making the loudest noise when people referred to him as a “political toddler” or immature to lead the country. “After all his pretence of advocating for generational renewal and young leadership, Chamisa mocks new Sports Minister Kirsty Coventry, describing her as a toddler who is only good at swimming and not good enough for a Cabinet post, pathetic,” said Ms Hondo. MDC spokesperson Ms Linda Masarira took to social media to ridicule Mr Chamisa, saying his choice of words should never be tolerated. Another gender activist Ms Nyaradzo Mashayamombe said she was surprised that people were seeing Mr Chamisa’s hypocrisy now. “Now if a 35-year-old can’t be a minster with all her accomplishments, can a 40-year-old be president with all his immaturity and sexism?” she wrote on Twitter. President Mnangagwa if he won the July 30 elections. His party has also been accused of disrespecting women, something it has never made a point of hiding from the time its youths harangued MDC-T leader Dr Thokozani Khupe calling her a “prostitute”. In a damage limitation exercise, the MDC Alliance issued statements saying its leader meant no harm in his comments, as Mr Chamisa holds Min Coventry in high regard for “her lifetime of sacrifice in raising the Zimbabwe flag”.